November 18, 2017, Clearwater, FL – The last time Cleveland Steve’s Sports took home a championship from the MSBL 25 National tournament was back in 2014. Fast forward three years and the club will be bringing back another title to the state of Ohio. 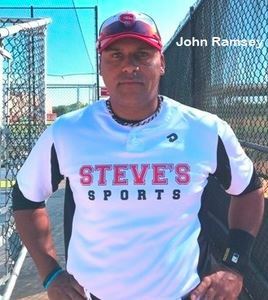 Manager John Ramsey’s club relied on clutch, 2-out hits and the big bat of Zac Johnson to upend the 2016 champion Brandon Bombers 6-1 at Richie Ashburn Field Saturday afternoon. Johnson had one of the better performances of any player in the tourney, hitting a few home runs along the way to being named the tournament’s most valuable player. In numerous situations throughout the contest, Cleveland was able to come through with clutch hitting and adding to its already strong lead. In the bottom of the fifth inning, Steve’s Sports was able to add onto its lead as Jake Plata scored on a single to center field by Jeff Tillman. Steve’s Sports held a seemingly insurmountable 5-1 lead heading into the final three innings and that’s about all Ramsey’s guys needed to close things out against the defending 25-National champion Brandon Bombers. The defending champions from a year ago just couldn’t get anything going in terms of getting runs across the plate when they needed them. Whenever the Bombers had opportunities to answer Steve’s Sports, double plays, ground balls and fly outs were the following scene when runners were on base. Cleveland added to its lead in the bottom of the eighth inning in a very similar situation had in the fifth, with Tillman driving in Plata to increase Steve’s Sports advantage to 6-1.